Over the years, the myth that you only use about 10% of your brain has been widely spread with the source of this myth often falsely attributed to Albert Einstein. It turns out though, that every part of the brain gets used, despite what Hollywood; snake-oil type self help peddlers; and many others would have you believe. All other evidence aside, intuitively, if 90% of the brain wasn’t used for anything, then damage to those parts of the brain that comprise that 90% wouldn’t affect a person at all. In reality though, damage to just about any part of the brain, even tiny amounts, tends to have profound effects on the person who suffers that damage, at least in the short term. Further, given the amount of your body’s resources your brain uses, if 90% of it were worthless, it would be an incredible waste. 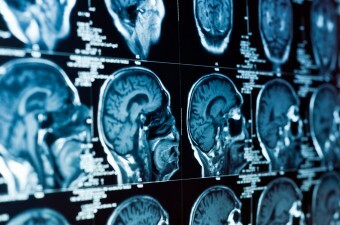 For more concrete evidence, brain scans, courtesy of Positron Emission Tomography (PET) and Functional Magnetic Resonance Imaging (fMRI) technologies, show us that even while we are sleeping every part of the brain shows at least a small amount of activity and most areas of the brain are active at any given moment, assuming the person being scanned hasn’t ever suffered some form of brain damage. Amazing amounts of research have gone into mapping the brain, in terms of figuring out the function of various parts of the brain, and, to date, no area has been found that doesn’t have some function, even though that function may not be yet wholly understood. So where did this myth really come from? There are a few potential sources, though no one knows for sure. Probably the most popularly cited source is Harvard psychologists William James and Boris Sidis with their “reserve energy” theories in the late 19th/early 20th century. Another theory is that it lies in misinterpretation of neurological research. For instance, research in the early 20th century indicated that only 10% of the neurons in the brain are firing at any given instant. Alternatively, research indicating only about 10% of the brain is composed of neurons, with the rest being glial cells, which support and regulate neurons in various ways. As to why the myth became popular, it’s easy to see why people would be drawn to such a notion. Everybody would love to have it be the case that they naturally only use 10% of their potential brain power. Thus, if they could just magically unlock even a little of the other 90%, they could be the next Albert Einstein or perhaps even develop telekinetic or psychic powers, as is often pushed by Hollywood and others when this myth is mentioned. Even today, numerous self help books and seminars are devoted to trying to help you unlock that mythical other 90%. In the end, we’re better off using that time and money to try to further develop the supposed “10%” we already use. Though quite a bit of the brain has been mapped in terms of function, there has yet to be any one area of the brain that handles philosophical consciousness. Interestingly, many “gifted” individuals show less brain activity than “average” people while performing certain academic tasks. Some theorize that this is because these gifted individuals may possess more efficient pathways in their brains, requiring less activity for a given task. This is perhaps backed up by research demonstrating that, for instance, professional piano players often see a decrease in overall brain activity when playing music. Williams Sidis, who was son of famed Harvard “reserve energy” psychologist Boris Sidis, could read the New York Times at 18th months old and had learned eight languages (Latin, Greek, French, Russian, German, Hebrew, Turkish, and Armenian) and invented another called Vendergood by the age of eight years old. By the end of his life, he could speak over 40 languages fluently and could pick up enough of a language unknown to him in one day to get by among native speakers. Sidis also became the youngest person to enroll in Harvard in 1909 at 11 years old. By 1910, he was giving lectures at Harvard’s Mathematical Club. He earned a B.A. degree by 1914. Unfortunately, Sidis did little with his life when measured against his potential. Early on he tried teaching, but his very young age tended to result in students not listening to him and ganging up and even threatening him at times. He later announced his goal to live a “perfect life”, which to him meant living in complete seclusion; he then more or less accomplished this goal. He died at the age of 46 of a cerebral hemorrhage, which is also what his father died of, but at 56 years old. While in relative seclusion, he wrote a variety of little known works on various subjects including cosmology, American Indian history, anthropology, and civil engineering. So Boris Sidis, who’s son turned out to be quite the genious, might have actually been on to something, right? Or was that just a very big coincidence? if we actually use all of our brain, wouldn’t we have perfect recall and not forget anything? I also forgot to add, what about people who were born with add, adhd and/or who were born with learning disabilities? What about people born with mental difficulties? How much brain power do they use? I know there is controversy on what cause some of the things-that is why I said born with. I’m a software developer, and as such, easily relate things to computer-based analogies. Since the human brain is basically a supercomputer, I always interpreted the “10%” statement to mean potential, not physical components. a CPU is the same way. My computer’s CPU is almost entirely utilized at all times. Just like the human brain, various parts of the chip have various functions, and rarely are any of those functions sitting absolutely idle. That doesn’t mean I am utilizing 100% of my CPU. I think of the brain in the same way. 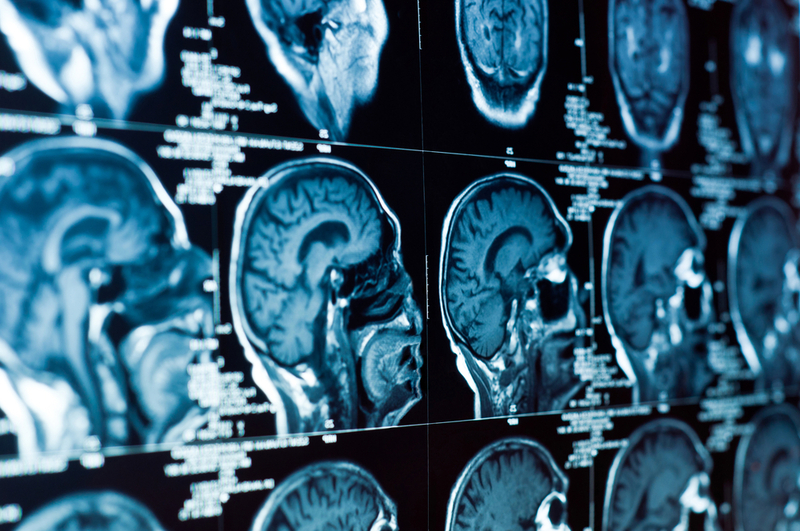 Sure, all parts of the brain are in almost constant use, but are they fully utilized? How much more potential is there, over normal use, for the brain to temporarily increase it’s bandwidth, speed, and processing power? Both Boris Sidis AND William James Sidis, despite their vast amount of knowledge, were complete idiots and they failed to see the irony of their situation in their lives. I disagree with the weak premise of this article. If I lift a small stone I am using all of my arm but not all of my strength. So this article tries to dispel the fact that the brain has an untapped reserve. An evolutionary trait of inbuilt redundancy which makes an organism more robust. Yes I use all of my arm if I lift a stone. I also use all of my arm if I lift a large boulder. So the argument that one uses all of ones brain is pathetic & childish as the 10% statement refers to an innate normally untapped functionality of the brain. Just as the lifting of a heavy weight uses “more” of the arm. Unfortunately the “lie” is the modern misconception that we use “all” of our brain.